The way psychopathic prisoners play certain games bears an uncanny resemblance to the patterns shown by people with damage to a particular part of the brain, according to an intriguing set of experiments at the University of Wisconsin-Madison. 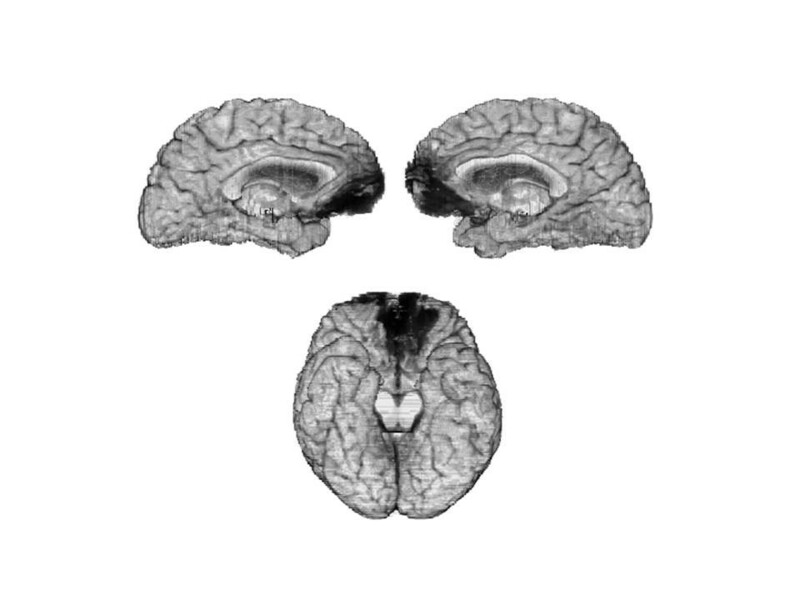 The experiments, published in the June issue of Neuropsychologia, show that psychopaths’ decisions mirror those of patients with known damage to their ventromedial prefrontal cortex (vmPFC,) the part of the brain responsible for sentiments such as empathy and guilt. Perhaps not surprisingly, psychopaths in prison play economic decision-making games with a distinct style. “They’re quick to anger, and they don’t regret their bad treatment of others,” says Michael Koenigs, assistant professor of psychiatry in the UW School of Medicine and Public Health. In their experiment, UW-Madison psychology Professor Joseph Newman and Koenigs had 47 inmates in a Wisconsin prison play two economic decision-making games. The prisoners played for the chance to win money they could exchange for items such as shampoo and food from the prison store. First, participants played the “Ultimatum Game,” in which two players got to split an amount of money (for example, $10) if they could agree on how to split it. But if the “responder” rejects the offer, both players got nothing. A rational responder would accept any amount of money, Koenigs explained, because the alternative means getting nothing. That is how most of the prisoners played the game. But people who had been diagnosed with primary psychopathy “reacted with anger to what they regarded as unfairly low offers.” They were much more likely to reject these offers, leading to both players losing everything. Next, prisoners played the “Dictator Game.” In this game, the first player decided the split, and the responder had no choice in the matter. Thus, offers made in this game were seen as being determined by the players’ “pro-social emotions,” such as empathy and guilt. Again, the primary psychopaths made abnormally low offers compared with prisoners who were not psychopathic. In both games, the reactions of the psychopaths closely mirror the responses of patients with damage to the vmPFC. “While we have done this study before with vmPFC patients, it had never been done before with psychopaths,” Koenigs says. Interestingly, the economic decision-making game also pointed out a sharp difference between primary psychopaths – who have an innate dysfunction with their ability to feel the pain of others – and secondary psychopaths, whose dysfunction seems to be rooted in abusive childhoods, drug use or other social factors. The study bolsters the notion that primary psychopaths have some type of dysfunction in their vmPFCs. “Ultimately, we would like to do brain imaging of people with psychopathy, but that may be difficult to achieve in a prison setting,” Koenigs says.